Instant Whey, our market leading whey protein has now been improved to provide an ever more advanced formulation that is simply unbeaten in the market. 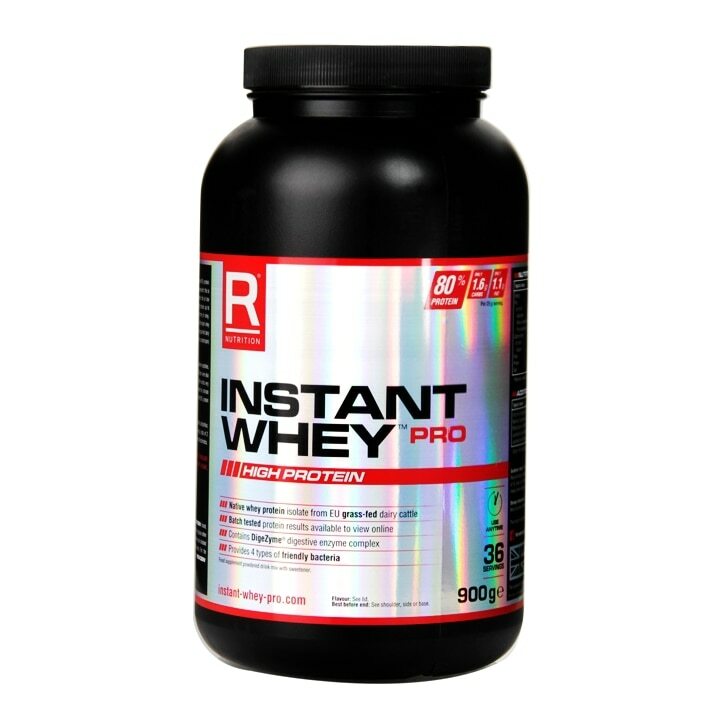 It is now called Instant Whey Pro in recognition of the four friendly bacteria that have been included which deliver a total of 2 billion friendly bacteria per 100g of product and includes; Lactobacillus acidophilus, Bifidobacterium bifidum, Bacillus coagulans and Lactobacillus rhamnosus. These friendly bacteria have distinct and unique characteristics. Instant Whey? Pro continues to deliver additional high quality glutamine peptides, whey peptides in combination with a 25% increase in DigeZyme Enzyme complex which provides Protease, Amylase, Lipase and Lactase enzymes. Reflex Instant Whey Pro Chocolate is rated 5.0 out of 5 by 2. Rated 5 out of 5 by feromiro from Great Quality Product is too expensive , but very good quality . Rated 5 out of 5 by CaptainJim from The best whey protein I have ever used Tried lots and lots of whey products over the years, this Instant Whey beats them all. The flavour is very nice, it mixes instantly and it really has helped me with my training more so than some of the protein powders I've used before.